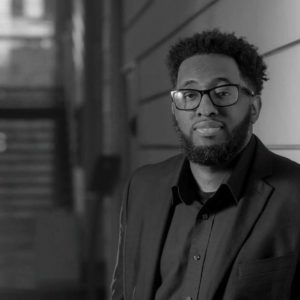 Michael Ford, a featured architect with BRANDNU Design, is the Co-Founder of The Urban Arts Collective where he created and conducts The Hip Hop Architecture Camp™ with the mission to increase the number of underrepresented populations in architecture and urban planning. David Lawrence Gray, FAIA sees an emerging role of the architect as developer, builder, and leader who can resolve traditional conflicts and set the standard for the built environment. Approaching projects as both an architect and developer allows designers to control site selection, design aesthetic, program and overall project feasibility. Mr. Gray has practiced this multifaceted role throughout his career and has successfully developed dozens of commercial and residential projects. David Lawrence Gray received a Bachelor of Architecture degree from the University of Washington and a Master of Architecture degree from the University of California at Berkeley. 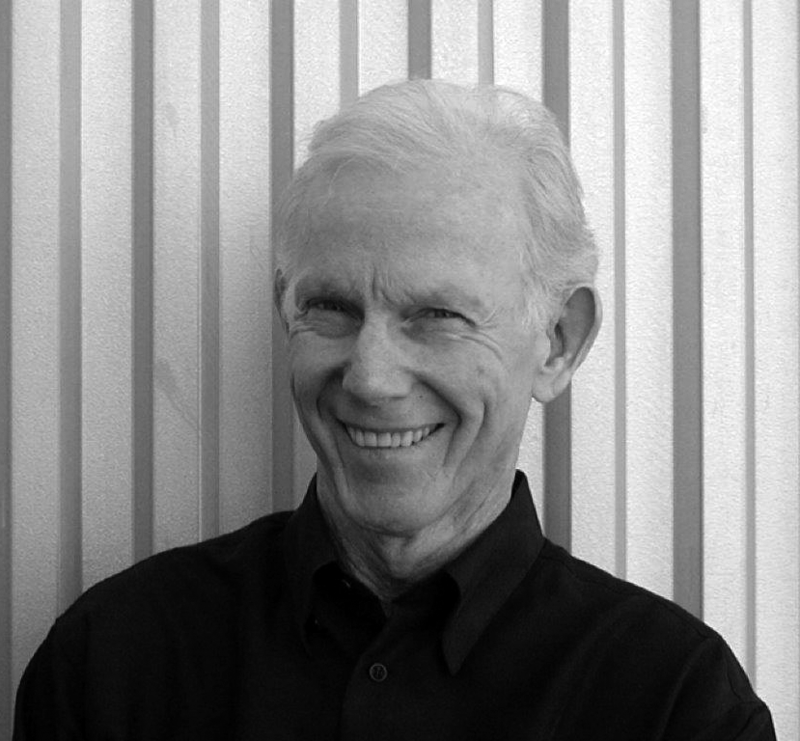 He has held an appointment as an Assistant Professor of Architecture at the University of Southern California (1973-1977) and at the Southern California Institute of Architecture (1978). He was most recently a visiting lecturer at USC’s School of Architecture and UCLA’s School of Architecture and Urban Planning. 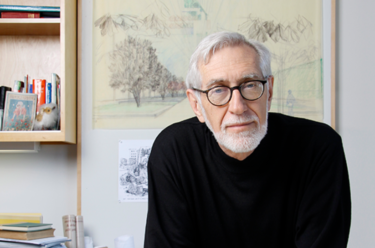 In 1993, David Gray was honored with investiture as a Fellow in the American Institute of Architects. Building on a lifetime of architectural explorations, David Lawrence Gray Architects seeks to define a timeless architecture through the use of concrete, glass and steel and to develop an expressive vocabulary by exploring their structural and constructional relationship. Join Diane Sugimura, MUP ’07, as she discusses her personal planning perspectives, both past and future, and how early influences had an impact on her later interests and actions while working for the City of Seattle. Diane will talk about how she became more aware of her ideas about equity, justice, race, and how startling comments made at public meetings brought back memories from long ago. In recent years, many of these issues have weighed heavily on her as a City planner and as director of planning, development, construction, and enforcement. She’ll talk about what lies ahead for our community. Working for the City of Seattle for 38 years – including 14 years in the variously-named planning offices, and 11 years in a primarily regulatory agency – Diane has come full circle. From 2002 through 2015, she led Seattle’s Department of Planning and Development. Diane holds a bachelor’s degree and master’s degree from the University of Washington and a bachelor’s degree from Oregon State University. 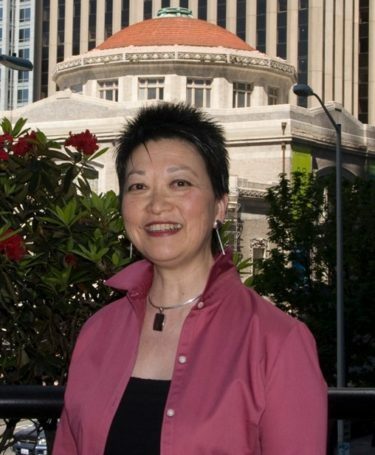 She is a member of the Urban Land Institute (ULI) Seattle, and is on the Board of Trustees for the Wing Luke Museum of the Asian Pacific American Experience. Sugimura was named an honorary member of the American Institute of Architects (AIA) Seattle in 2005. She is a member of the Green Building Advisory Group for the Commission for Environmental Cooperation of North America and in 2007 was named a finalist for the BetterBricks “Advocate” Award. In 2007, she was named Public Employee of the Year awarded jointly by the local chapters of Master Builders Association and the American Planning Association. In 2013, she was named a Living Building Hero by the International Living Future Institute, became a Cascadia Fellow with the Cascadia Green Building Council, and received the Municipal League Foundation’s Public Employee of the Year award in 2016. March 21, 2016 was proclaimed Diane Sugimura Day in the City of Seattle, by Mayor Murray and the City Council members. As urban centers become increasingly dense, acclaimed architect James Cheng has made a commitment to preserving culture, conceiving spaces to foster social exchange and recognizing the relationship between design and nature. Throughout his 30 plus year career, Cheng is most widely known for helping define the urban identity of Vancouver, BC. James Cheng, principal of James K.M. 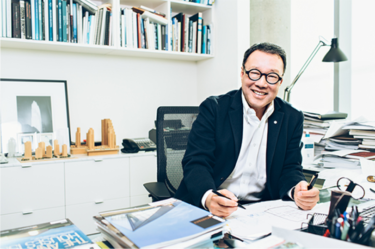 Cheng Architects has spent the majority of his career in Vancouver, BC, where he’s designed more than 50 structures for the city’s skyline. His contributions to Vancouver’s urban identity has earned him an equal number of design and cultural awards, including the Order of Canada, the country’s highest civilian honor, and Canada’s Governor General’s Medal in Architecture. “Vancouver is unique with its mixture of European, Asian and American influences. The city is geographically restricted by water and mountains and have thus developed a distinctive urban-centered tradition,” Cheng said. Some of Cheng’s most well-known Vancouver structures include the Fairmont Pacific Rim, the Shaw Tower and the city’s tallest building—the Living Shangri-La. For each project, Cheng begins thinking about the key perspectives he learned at UW—the role of nature, the community’s distinctive cultural idioms and visualizing how people will engage with the space. From his perspective, these ideas are what will continue to be the biggest challenges for design professionals in the future. Looking to the future, Cheng sees the last 10 years and the next 20, as a time of significant transformation, specifically for professionals who started with a T-square and have been introduced to 2D CAD and now 3D CAD programs. Cheng believes one way to achieve collaborative success is to establish a common language for all the disciplines that work together and focus on training students to work collaboratively with varying fields from the moment they start learning. In an age of globalism, what becomes of concerns regarding regional, heritage, and local aspects of design? A survey of work and concerns as expressed in the work of the OLIN firm over 40 years of practice, particularly considering the twin poles of nature and culture through attempts to confront a contemporary civic realm and the making of robust and meaningful places. Laurie Olin, FASLA is a distinguished teacher, author, and one of the most renowned landscape architects practicing today. From vision to realization, he has guided many of OLIN Studio’s signature projects, which span the history of the studio from the Washington Monument Grounds in Washington, DC to Bryant Park in New York City. His recent projects include the AIA award-winning Barnes Foundation in Philadelphia, Pennsylvania and Simon and Helen Director Park in Portland, Oregon. Christopher B. Leinberger is a land use strategist, teacher, developer, researcher and author, balancing business realities with social and environmental concerns. Mr. Leinberger is the Charles Bendit Distinguished Scholar and Research Professor and Chair of the Center for Real Estate and Urban Analysis at the George Washington University School of Business. He is also the President of Locus: Responsible Real Estate Developers and Investors, a political advocacy organization working on the national and state levels. He is a Nonresident Senior Fellow at Brookings Institution Metropolitan Policy Program in Washington DC. 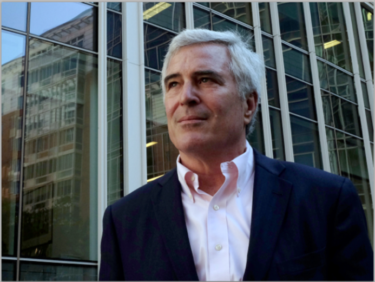 Finally, he is a founding partner of Arcadia Land Company a New Urbanism and transit-oriented development firm based in Philadelphia. For twenty years, Professor Leinberger was the Managing Director and owner of Robert Charles Lesser & Co., a leading international market, financial feasibility and strategic planning firm for the real estate industry. His most recent book is The Option of Urbanism, Investing in a New American Dream. He is the author of Strategic Planning for Real Estate Companies and has contributed chapters to 12 other books. He is an Op-Ed Contributor to the The New York Times, writes regularly for The Atlantic Monthly and numerous other magazines. CNN, National Public Radio, Atlantic Cities Channel, Washington Post, among others, have profiled him. Leinberger was voted one of the “Top 100 Urban Thinkers” in a 2009 poll conducted by Planetizen, the international urban planning website. He was the 2010 William H. Whyte Urbanism Award winner by Partners for Livable Communities. Leinberger is a graduate of Swarthmore College and the Harvard Business School and lives within Washington, DC. 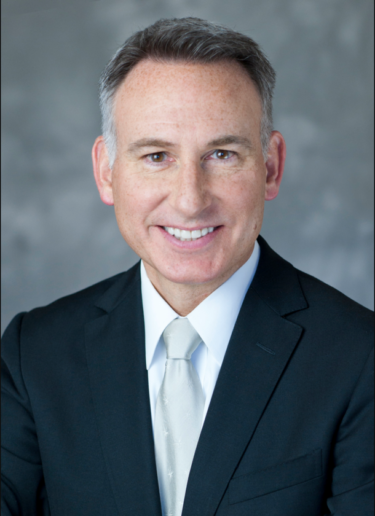 King County Executive Dow Constantine, who earned a Master’s in Urban Planning degree from the UW in 1992, shared how his education helped shape his vision of urban design and the built environment. He talked about his activist path from the UW to his career as an elected official, and how he applies the lessons from the classroom to the work he does every day. A Seattle native, Dow graduated from West Seattle High School and the University of Washington, where he also earned two post-graduate degrees a J.D. (1989) and a Master of Urban Planning (1992). Today, Dow lives in the same West Seattle neighborhood where he grew up. Dow became interested in politics at an early age, and in college served as a legislative intern to 34th District State Sen. Phil Talmadge. After graduation, he practiced law and worked on a number of community projects. While helping with efforts to preserve open space, he first worked with County Council member Greg Nickels, who later hired Dow as a legislative aide. A two-term state representative (elected 1996 and 1998) before being elected to the 34th District’s senate seat in 2000, Dow was co-chair of the House Judiciary Committee and vice-chair of the Senate Ways & Means Committee. He was appointed to the King County Council in January 2002, and won election to the office four times—in November of 2002, 2003, 2005, and 2007. Dow served as County Council Chair in 2009 and led the panel that wrote the 2007 King County budget. As a four-year member of the Council’s budget leadership team, he worked to slow the growth of King County’s jail expenditures through such innovations as drug court, mental health court, and driver re-licensing programs. He has been a consistent supporter of transportation alternatives as a Sound Transit board member and former chair of the Council’s Transportation and Regional Transit Committees. Since his first election as Executive in 2009, Dow has been working to instill a culture of performance that changes the way King County does business and forging partnerships with residents, cities, employees, and other County leaders to craft real, sustainable reforms. His reform agenda has put King County back on sound financial footing, and positioned the region for opportunities created by a new global economy. Dow has embraced the role of the metropolitan region as the center for action and ideas. 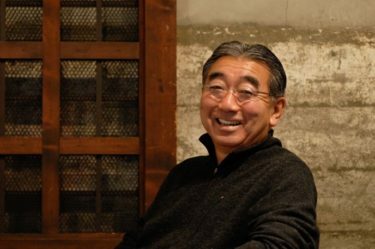 Suyama has had a long career as a pioneering architect who integrates the reductive spirit of the Case Study Houses with influences from his ancestral Japan and the climate, light, and geology of the Pacific Northwest. The firm’s houses filter the region’s soft light through layers, and their walls, textures, and sheltered outside spaces reinforce the connection to nature. Many of its designs feature high, overhanging roof planes that rest lightly on clerestories and exposed columns, and glass walls that open strategically to sweeping views. Concrete, wood, and metal are favored building materials. At the helm of one of the region’s leading architecture firms, Suyama and his portfolio of work have garnered an enviable list of AIA awards. He declared an architecture major in his senior year at the University of Washington (UW). Just before graduating in 1967, he spent six months working for Gene Zema, a UW alum. It was a pivotal moment in introducing Suyama to a design sensibility that shared some traits with traditional Japanese craftsmanship, along with Zema’s collection of Japanese artifacts and crafts. That influence tapped into Suyama’s cultural heritage, and his particular fondness for using decorative objects to create atmosphere in an austere space. Suyama shares an open studio with Ric Peterson, Jay Deguchi, and 10 employees. The three partners work on separate projects but use each other as sounding boards. The more-with-less aesthetic, so much a part of his DNA, has brought Suyama full circle. Now the firm is trying out these ideas on smaller-scale projects and budgets. He is particularly excited about Fauntleroy III, a 1,500-square-foot house on piers that he’s designing next door to the place where he and his wife live. With its 12-foot-tall walls, the 90-foot-long “boathouse” will also function as a mini-warehouse with shelving to hold his collections. As two of the founders of the landscape architecture firm Gustafson Guthrie Nichol, Jennifer Guthrie and Shannon Nichol discussed the philosophy of the firm through the lens of recent works and projects, including their (at the time) proposed renovation of UW’s Rainier Vista. GGN’s practice has advanced our understanding of how landscape architecture gives new form and meaning to the interdependency of nature, building, and city. Jennifer Guthrie is a founding partner of Gustafson Guthrie Nichol. Jennifer’s design leadership merges a guiding, experiential vision with innovative and precise detailing. Her work ranges broadly, encompassing urban districts of green streets and mixed-use housing, public squares, rooftop gardens, urban farms, and cultural institutions. Corresponding examples of these diverse project types include the University of Washington’s West Campus Streetscape and UW Farm, Chicago’s Lurie Garden at Millennium Park, and the Seattle Civic Center Campus. Jennifer’s clients have included the Smithsonian Institution, the Nu Skin Corporation, and the Department of State, as well as major universities and developers. Jennifer’s current projects include the Life Sciences Building at the University of Washington, the industrially-inspired Spring District, and the Long Beach Civic Center (a P3 project). 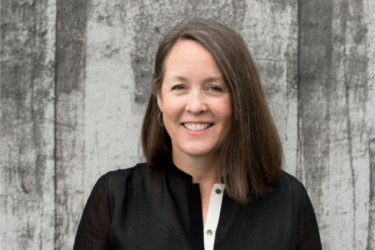 Jennifer and her partners are the recipients of the 2011 National Design Award for Landscape Architecture, and her work has received numerous national and regional Honor Awards from ASLA and AIA. Jennifer is President-Elect of the Landscape Architectural Foundation Board and serves on the CEO Roundtable. Shannon Nichol is a founding partner of Gustafson Guthrie Nichol. Her designs, including Millennium Park’s Lurie Garden, the Bill & Melinda Gates Foundation Campus, and Boston’s North End Parks, are widely recognized for being deeply embedded in their neighborhoods and natural contexts. Shannon’s work incorporates complex functions into simple frameworks and refined landforms. 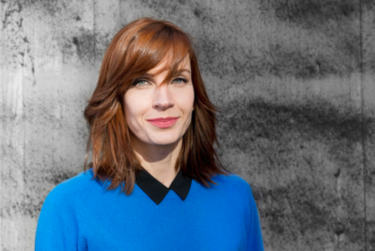 Shannon’s recent and current projects include Lower Rainier Vista & Pedestrian Land Bridge at the University of Washington, India Basin Waterfront Park in San Francisco, Seattle Streetcar: City Center Connector, and Washington State’s Burke Museum of Natural History and Culture. Shannon is a Fellow of the American Society of Landscape Architects and an honorary member of the American Institute of Architects (Seattle). She and her partners received the Smithsonian’s Cooper-Hewitt National Design Award for Landscape Architecture in 2011. The firm’s project awards include ASLA National Awards of Excellence, ASLA and AIA Honor Awards for Design, Tucker Design Awards, and Great Places Awards from the Environmental Design Research Association. Shannon lectures internationally, frequently juries for design awards, and serves on advisory committees for universities and non-profits. Mark Reddington, FAIA, delivered the 2010 Dean’s Distinguished Lecturer, to share his award winning work as a partner in the Seattle-based firm LMN Architects. Reddington’s culturally enriching and contextually engaging designs continue to transform the civic landscape in Seattle as well as cities such as Vancouver BC, Cincinnati, Memphis, San Antonio, Los Angeles, San Diego and San Francisco. His inspiring and highly functional designs capture widespread acclaim from public and professional audiences. In his portfolio: performing arts centers, convention centers, and university buildings in cities including Minneapolis, Cleveland, Dallas, Denver, and Seattle as well as current projects in Cincinnati and San Diego. 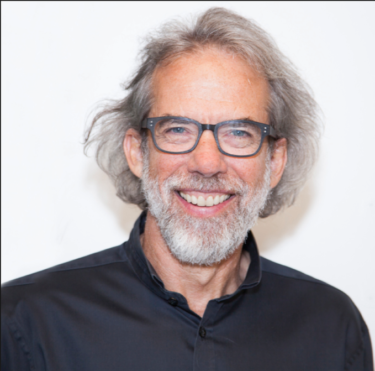 Mark’s design leadership has been instrumental in establishing LMN as a national leader in the design of public places, resulting in projects that have been widely recognized with over 120 design awards. In December 2003, L’Arca Edizione released LMN Architects: Design in the Public Realm. Project examples include Seattle’s Benaroya Hall, McCaw Hall, and the recently opened Vancouver Convention Centre West. Targeting LEED Platinum, this prominent civic waterfront development will serve as the media center for the 2010 Winter Olympics. PACCAR Hall for the Foster School of Business, slated to open in 2010, and the Paul G. Allen Center for Computer Science & Engineering are two examples on the UW Campus. Tom Kundig, FAIA, is an owner and design principal at Olson Kundig. He joined the firm in 1986, and has steadily diversified his range of project typologies from residential work to museums, wineries, high-rise multi-unit structures, and hotels. 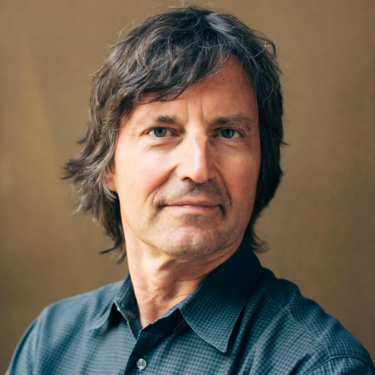 Many of the mechanisms that make his operations work are the result of Kundig’s unique collaboration with Phil Turner, Olson Kundig’s resident “gizmologist”. Kundig observes: “When a user takes hold of a wheel and turns it, opening up some aspect of a building, its effect is not only physical and tactile but emotional physical, emotional, tactile.” The first important example of this tendency in his work, and not coincidentally Kundig’s first collaboration with Turner, was the Chicken Point Cabin in Northern Idaho, where an entire glass window-wall opens up to the lakefront via a hand crank. In addition, Kundig’s breakout project was Studio House completed in 1998. It was featured in the New York Times, and that story was quickly followed by a New York Times Magazine cover feature on Chicken Point. Chicken Point won an AIA National Honor Award. Since then, Kundig’s work has been frequently featured in the New York Times, Architectural Record, Financial Times, Architectural Digest, and the Wall Street Journal. Princeton Architectural Press has published three volumes devoted to his work (the latest released in the fall of 2015). He has received some of the world’s highest design honors, from a National Design Award from the Smithsonian Cooper-Hewitt National Design Museum to an Academy Award in Architecture from the American Academy of Arts and Letters. In 2014, he was included in Architectural Digest’s AD100, and in 2012, he was inducted into Interior Design magazine’s Hall of Fame. His work has received more than 50 awards from the American Institute of Architects, including 18 National Design Awards. Lionel H (“Spike”) Pries (1897-1968) taught architecture at UW for three decades and was the inspirational leader of the program from 1928 to World War II. UW professor Jeffrey Karl Ochsner FAIA authored the first monograph addressing Pries’s life and career, Lionel H. Pries, Architect, Artist, Educator: From Arts & Crafts to Modern Architecture, published by UW Press in November 2007. Jeffrey’s 2008 Dean’s Distinguished Lecture celebrated Pries’s contributions to the development of Northwest Architecture as well as design education at UW.